The Sharp Edge Beer Emporium in Friendship is having their Great European Beer Fest on June 27 & 28. They are offering three sessions, and each session will provide the opportunity to taste over 101 different beers from all over the world. Live entertainment will be there as well. Sunday, June 28: 2pm – 5pm. Also, new this year, they are offering a VIP ticket which adds access to special beers from the Sharp Edge vault, as well as access to their Beer Fest food menu. Tickets cost $50, or $75 for VIP admission. Kick off your grilling season in style with a fun-filled, unforgettable evening. Join Chef/Owner Jason Capps and Executive Chef Giuseppe DiGristina as they demonstrate a 5 course meal and teach you how to grill like a pro. Expert beer specialist Lee Schmidt will pair a hand-selected set of craft beers with each course. Live music by local Americana talents – The Weathered Road. This is an outdoor rain or shine event – dress accordingly. Great Lakes Brewing co. seems to be having a bit of an issue getting this year’s batch of Chillwave Double IPA (formerly known as Alchemy Hour) out, but they’ve promised to have some available for its Pittsburgh release party tonight! Head over to Harris Grill in Shadyside during happy hour to get your first taste of 2015 Chillwave. They are starting at 5pm. Whoa, check out this lineup at 3 Rivers 6 Pack in Delmont today: Bell’s Hopslam, Fat Head’s Hop Juju, Dogfish Head 120 Minute IPA, and The Hop Concept’s Dank & Sticky. Holy hops! Mad Mex in Robinson is having IPA week, all week! For example, today they have Bell’s Hopslam, Dogfish Head 120, plus three more. Check out this rare chance to try some Canadian Breakfast Stout (CBS) from Founders Brewing! CBS is an Imperial Stout brewed with coffee and chocolate, then aged on bourbon barrels that previously held maple syrup. Sat., Feb. 21, 2015, 1pm tapping at Caliente Pizza. Three Craft Beer Events Mark March 7, 2015 in the Burgh! Oh man, us Pittsburgh craft beer drinkers have a lot of things to decide before March 7, 2015! Penn Brewery Penn Brew U. Now, if you’re really hearty, you could manage to do the Penn Brew U. in the afternoon and then continue to one of the two festivals in the evening. 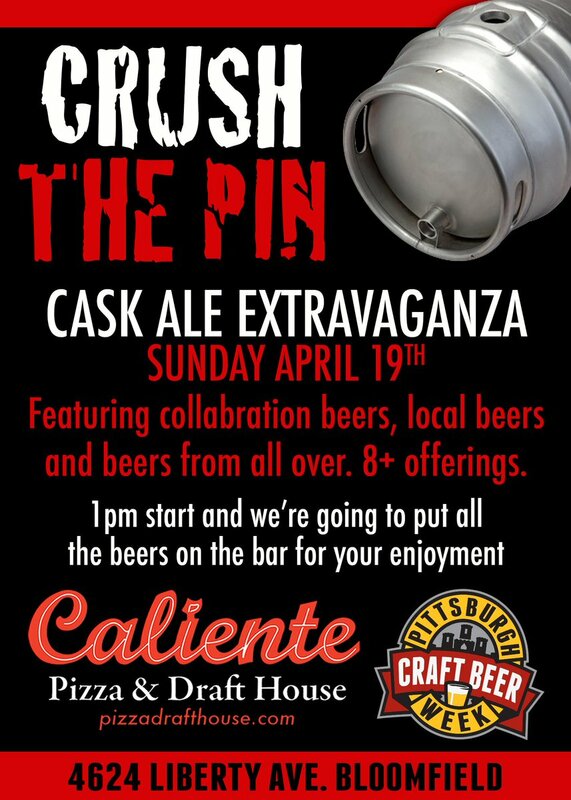 Whatever you decide, March 7 is a good day to be a craft beer lover in Pittsburgh. Get ready for the 2015 Hop Juju release! The first chance to grab bottles of this delicious hop bomb here in the Burgh will be this Friday, Feb. 13, at Fat Head’s Saloon on the Southside at 4pm. Starting next week (week of Feb. 16), bottles will start showing up all around Pittsburgh, so start checking! We’ll post updates of sightings here at beerPittsburgh as well. 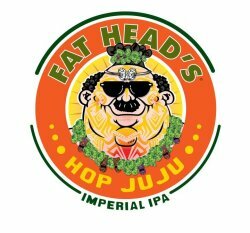 Monday, Feb. 16 at 6:30pm, Caliente Pizza will be having a Hop Juju kickoff event.